CSU laid off more than 300 employees, according to reports. 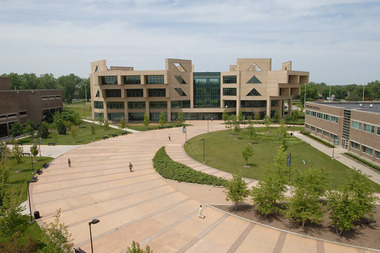 CHICAGO — Chicago State University has laid off a third of its staff, according to reports. The cash-strapped school has said it could close unless budget disputes in Springfield are resolved, and it sent layoff notices to all of its employees in February. State lawmakers OK'd a last-minute funding plan for Illinois colleges last week, sending more than $20 million to CSU. But the school still laid off more than 300 employees on Friday, according to the Chicago Tribune. The layoffs were effective immediately. "It was less than what we needed and later than we needed it, as much as we appreciated getting it," CSU President Thomas Calhoun Jr. told the Tribune of the emergency funding. "It really is a Band-Aid and not the solution." Activists have called on lawmakers to help save the school, taking to City Hall on April 20 to demand funding. They argued that the university wasn't being helped because lawmakers don't value black lives. CSU primarily serves black students.